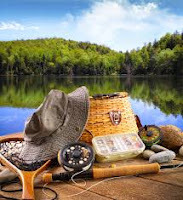 An interactive and relaxing wayof spendingfree time can be a fishing trip with friends.Very often there are situations where a group of people don't have all the necessary tools and thus must purchase them. A service of fishing equipment rentals would be very useful for those people who rarely go fishing and it's not worth it to buy all the equipment. The business may operate by rental of packages that include: rods, accessories, fishing chairs, baits, various specialized equipment , equipment that can be very expensive. Being a rental service is absolutely necessary to perceive a warranty consisting of an amount of money, which will be refunded once the clients return the fishing gear. This activity can work also online by building a presentation site with rental prices. You will need and a small storage space, being a business that involveskeeping the equipment in storage. For this business it is recomended thje acquisition of good quality equipment , being exploited you'll need products with high durability. A strategy for finding the clients can be to go to the lakes in your area and talk to residents in the area if they want to cooperate by organizing small rental centers in their backyard. This business can be very profitable considering that fishing is a sport gaining popularity. 0 Response to "Fishing equipment rentals"